Our projects are led by energetic, dedicated and caring volunteers from around the world. Bringing a wealth of experiences, skills and qualities, they are Actors for Education in their own right. Find out more below. The project on Chios has been running since 2016. Comprising a Youth Centre and Education Programme, this project provides essential safe spaces for refugee youth aged 15 - 22. We’re looking for experienced youth workers and teachers, but also individuals with creativity, enthusiasm and a wide range of other skills! In Athens, we run an education programme as part of a Women’s Centre in partnership with Action for Women. This important centre provides 3 key pillars of support: education, livelihoods and protection. Apply to volunteer on this urban recovery project. Note: since this is a Women’s only space, only female volunteers may apply. Our Samos Youth Centre is launching in early 2019. We’re currently looking for the initial team of volunteers! If you want to be involved in the set up and early stages of a new project, apply now. 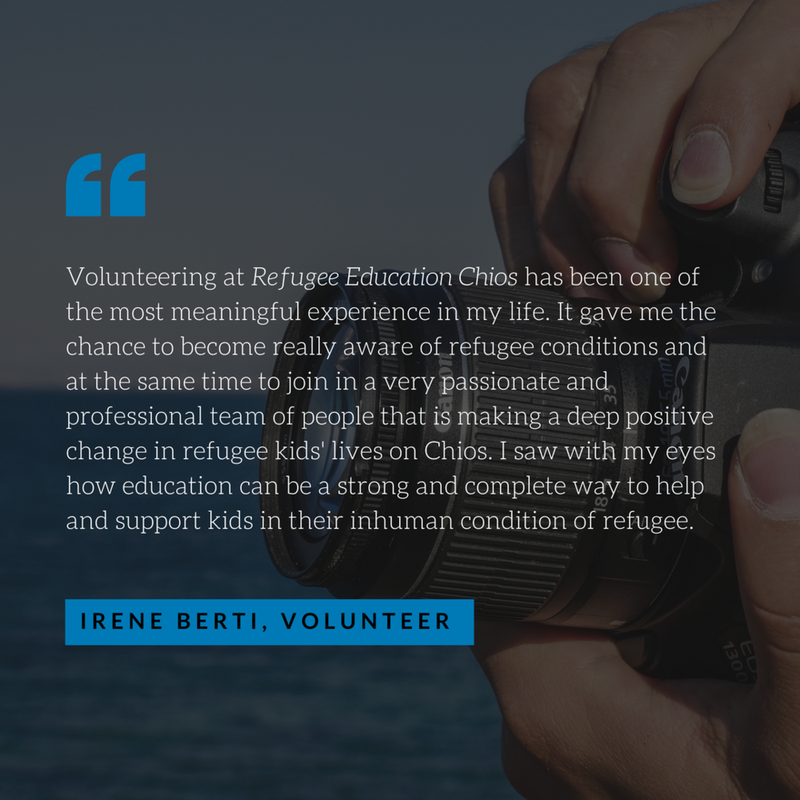 Modelled on our Chios centre, we aim to provide a safe space for education and psychosocial support outside the camp of Vathy. Since many of our students and youth centre beneficiaries are under 18, we require all volunteers to undergo a criminal background check (DBS in UK). This is a vital safeguarding measure. Email us to find out more. We believe it's important that our volunteers are a community. We provide shared accommodation in city-based apartments for all who come. These may not be luxurious penthouses, but they are our shared home. Volunteering with Action for Education is not voluntourism. The hours are long and the psychological demands can be high. We provide support and training throughout the process. For more information about volunteering, you can email us here. If you feel ready, you can apply to volunteer with us. If you don't hold a valid basic disclosure or DBS, you can find out more about how to apply for one here.